This week MyTopFace expert was visiting EGA Medical – a professional Medical Spa that specializes in surgical and non-surgical procedures for face and body. Among offered services, you can find cosmetic injectable services like Botox or Dysport, body sculpting, laser treatments and others. Our expert tested Oxygen Facial with esthetician Whitney and interviewed founders Dr. Todd and Dr. Jeffrey. – Dr. Todd/Dr. Jeffrey, please tell us how did you come up with an idea to open EGA Medical? My partner and I were longtime childhood friends. We founded EGA Medical in 2009. EGA Medical means age reversed (turn back time). We wanted to combine Medicine and beauty in one. Our family is a close group of Medical professionals who work together as a team to help you look and feel your best! As a physician, I am well known for my work at EGA Medical. 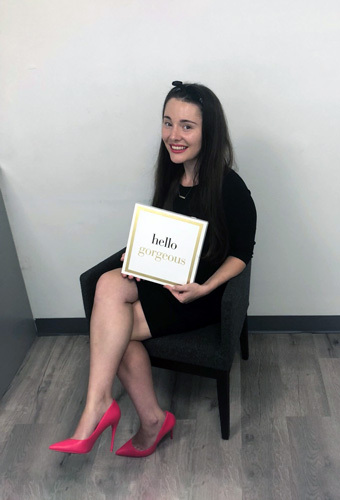 Listening carefully to the patient’s concerns and desires combined with a keen aesthetic eye has made me stand out in the field of Cosmetic Medicine. Helping to restore and rejuvenate a person’s appearance while maintaining a natural appearance is one of the keys to my success. – What’re the most popular services in EGA Medical and why? We offer a comprehensive wide range of services. 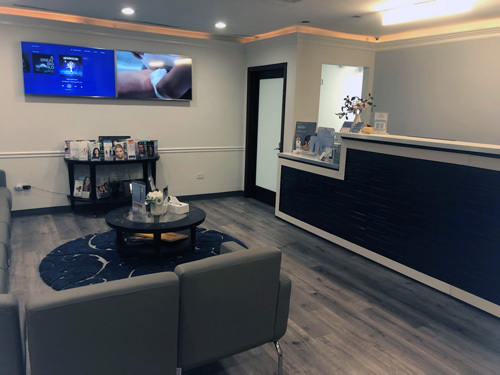 The foundation of our services began with Botox and fillers and now includes injectables, skin care, anti-aging therapies, tightening, body contouring. We use the best technology available and we are always adding new technologies, new services, and new products. Founded in medicine, centered in wellness and inspired by beauty is our motto. An expert in all cosmetic injectables, but some of my most popular services are lip, cheek and buttocks enhancement. 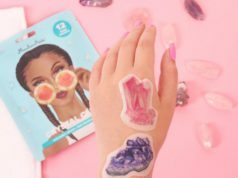 – Tell us your personal beauty hacks! Any relationship, including a doctor and patient, needs to have trust and honesty in it. 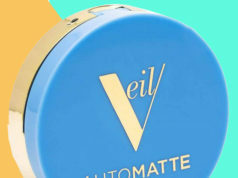 We take great pride in offering a comprehensive and long-term approach to preserving and enhancing your natural beauty. 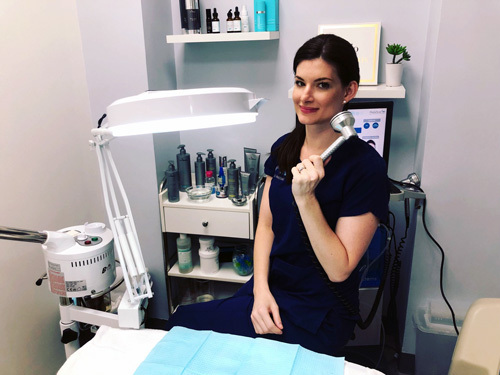 – Whitney, MyTopFace expert received an Oxygen Facial Treatment, please tell our readers what does oxygen facial do and how it works? Cooling, calming, oxygen increases absorption of the Opulence serum and naturally improves your skin’s hydration levels while vitamins and antioxidants are delivered to protect and defend. A combination of lightweight Hyaluronic Acid, Vitamins A, C, E and Green Tea result instantly in a smoother looking skin with reduced appearance of fine lines and wrinkles, better volume and increased firmness. A blend of botanical brighteners and super concentrated Vitamin C helps brighten and balance the appearance of uneven skin tone. Your skin will emerge deeply hydrated, more luminous, and glowing with vitality. Results are not only instant but continue to improve in the following days with continued use. – How do you prepare for this facial and do you need to have any special treatments after? A series of hydrafacials first is always recommended to ensure the skin is clean, clear, and exfoliated. No special treatments after, only that you use properly at home care to maintain results in between professional treatments. – Is oxygen facial suitable for everyone? Yes. As long as there is no active acne, open lesions, wounds or cold sores. – How long do the effects of an oxygen treatment last? The oxygen facial is great right before special events, photography and anytime you need a glowing or hydrating boost. The more often they are done, the longer your results will last. A hydrafacial treatment first, followed by the Clarity Oxygen facial which is best for the sensitive and acne prone skin. – Do you have any beauty secrets to share with our readers? Investing in a proper skin care and professional treatments will garner results. You cannot do one sit up and expect a 6 pack! Good skin is an investment that ALSO requires maintenance to keep results. 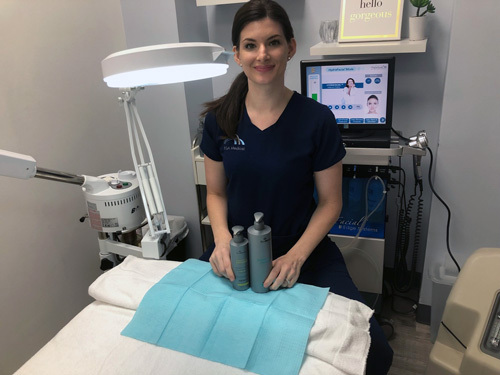 MyTopFace expert reported that after she received Oxygen Facial she saw an immediate result – acne was healed, the skin looked and felt very healthy skin tone, hydrated and moisturized, which is great in this hot summer. 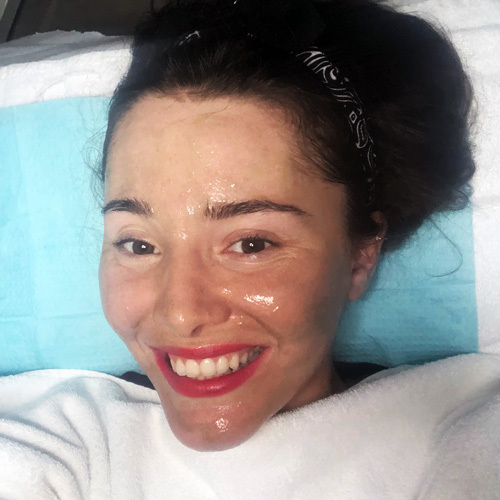 ‘Overall – I am very happy with the treatment and result’ – she said – ‘I feel like Madonna, and I understand why she’s love Oxygen treatment because it really helps speed up cell turnover and make the skin on the face appear smoother.